– wide wings that allow a double snap, keeping the pad securely in place. – rounded ends for a comfortable feel. – contoured core with two rounds of stitching, the inner round helps as an extra line of defence, channelling wetness into the absorbent core. Top – cotton (woven or knit/jersey), plush or bamboo/cotton velour, all of which feel lovely and soft. Please note that wrap scrap pads are £0.50-1.50 extra depending on the value of the wrap scrap. Backing – polar fleece, which is water resistant and grips underwear to keep the pad in place. Hidden layer – water proof PUL can be added as a hidden layer to any pad for an extra 50p. 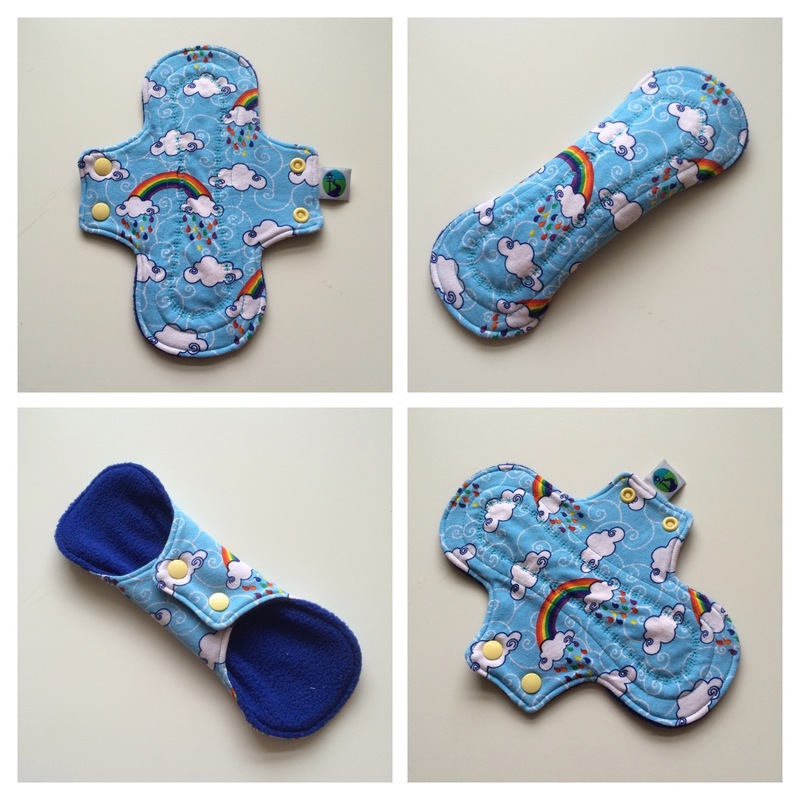 Postpartum pads come with PUL as standard. Core – please see individual flow types below…. These are designed for very light flow or ‘just in case’. The core comprises one layer of heavy bamboo fleece and one layer of cotton poplin. These are designed for light flow. The core comprises one layer of heavy bamboo fleece and two layers of cotton poplin. These are designed for medium flow. The core comprises two layers of heavy bamboo fleece and two layers of cotton poplin. 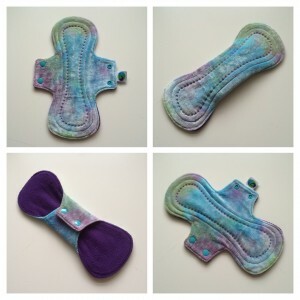 These are designed for heavy flow, and the longest size is best for use at night – longer pads are also available on request. The core comprises one layer of zorb, one layer of heavy hemp fleece and one layer of cotton poplin. These are designed for very heavy flow, such as after giving birth. The core comprises one layer of zorb, two layers of heavy hemp fleece and one layer of cotton poplin. 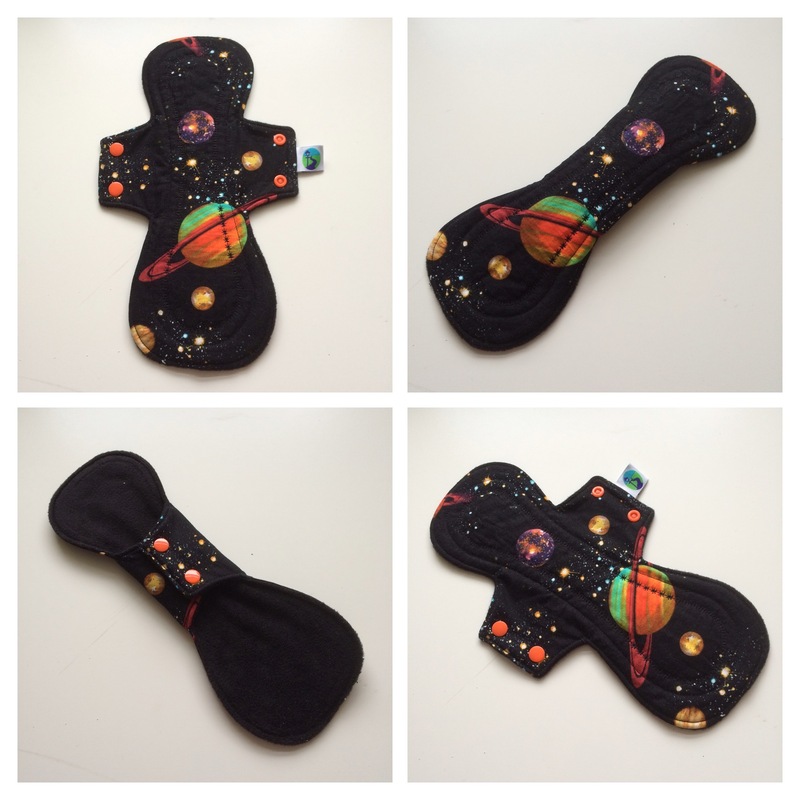 Postpartum pads come with a hidden layer of PUL as standard. Longer pads of any absorbency are available on request.